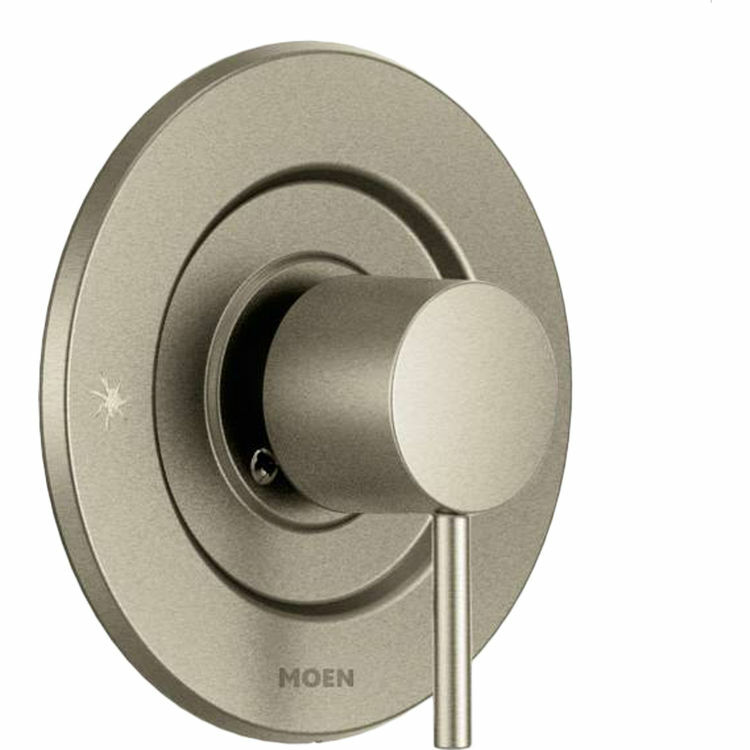 The Moen T2191BN Align Brushed Nickel Posi-Temp Valve Trim. Trim includes a lever handle which makes it easier for the user to regulate the water. It is also equipped with the PosiTemp pressure-balancing control valve designed to support and sustain the temperature of the water in the shower. This product abides with Americans with Disabilities Act (ADA) terms. The Moen T2191BN Align Brushed Nickel Posi-Temp Valve Trim is created on the Moen M-PACT regular valve system which enables the customer to renew the faucet style as days go by without changing any plumbing. Its LifeShine finish guarantees the ultimate durability. This product is assured not to blemish or flake off. It can resist corrosion and tarnishing through everyday use. This Moen T2191BN Align Brushed Nickel Posi-Temp Valve Trim meets epa WaterSense® guidelines to save water without giving up its performance. It goes perfectly with Moen’s Align line of products. This product has a limited lifetime warranty covered by Moen if it is for residential installations.